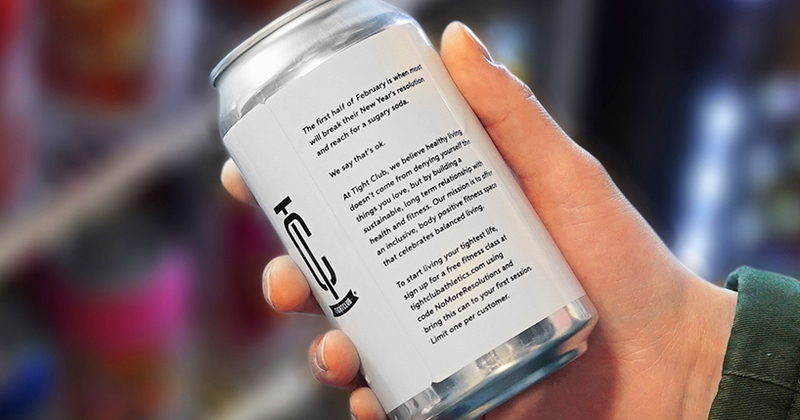 vancouver fitness studio tight club athletics wants to save people from the typical new year’s resolution cycle by helping them see food and fitness in a healthier, more balanced light. 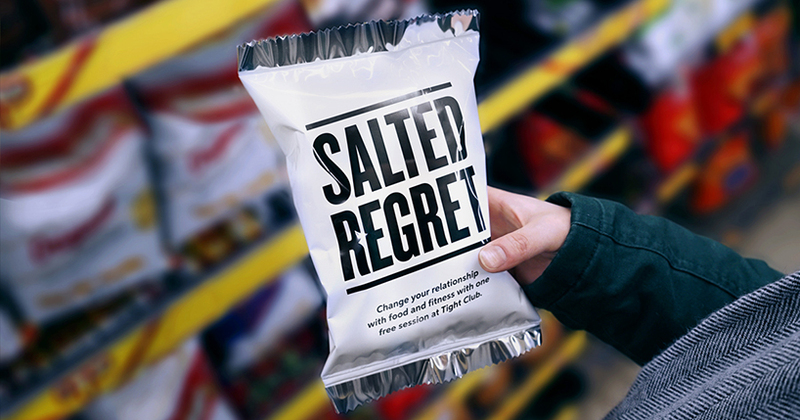 creative agency rethink designed fitness class passes disguised as chip bags, chocolate bars, and pop cans for the club’s visitors. 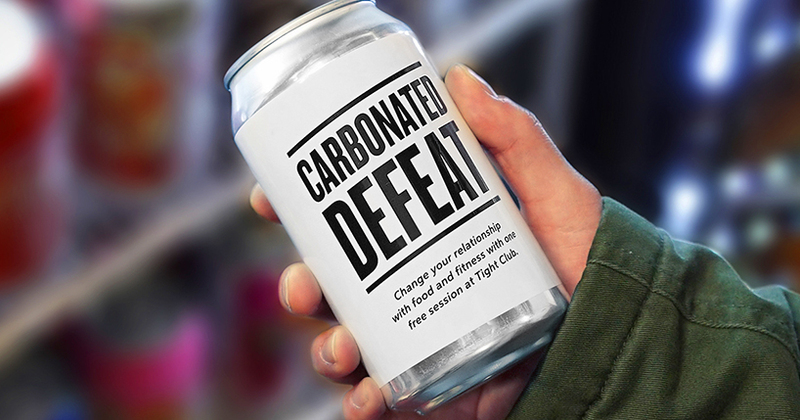 chips became ‘salted regret’, a candy bar was named ’empty calories’ and the pop can became ‘carbonated defeat’. 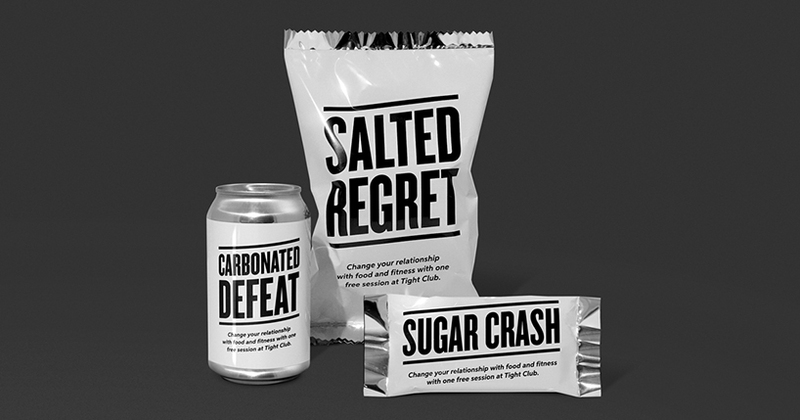 the empty junk food coupons were intended to catch people in their ‘moment of weakness’ as they broke their resolution reaching for that sweet or salty treat, and deliver the message that you don’t need to completely deny yourself the food you love to live a healthy life. 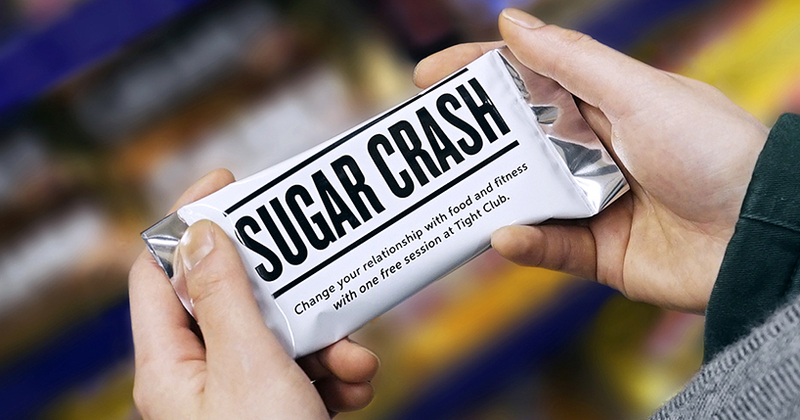 Not sure the design lines up with the message they’re trying to get across – if it’s all about finding balance and not being too restrictive, I’m not sure why they’d show food such as chocolate bars as bad foods we shouldn’t be eating at all by naming it ‘sugar crash’. 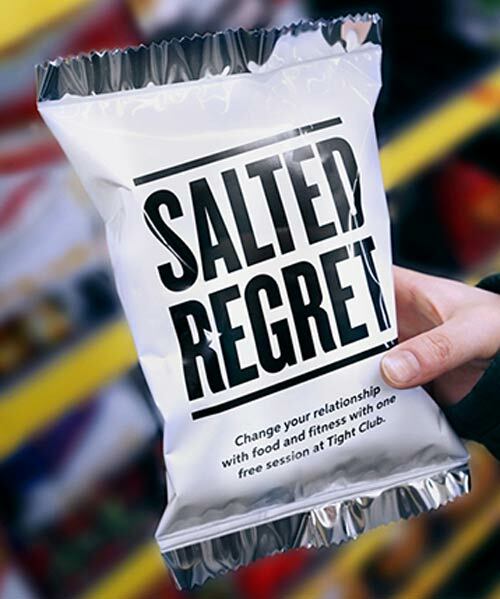 Surely they should be promoting having treats like this every so often if it’s based around balance? Maybe I’m missing the point but it doesn’t seem to link with the message behind the campaign at all.